Android and iOS app development always seemed tricky and hard to do, but with AppsGeyser you are now able to create an Android app within just a few minutes. In this guide I’ll show you how to create your own Android app from your website. To see how your app could look like, download the trendblog.net Android app on Google Play. 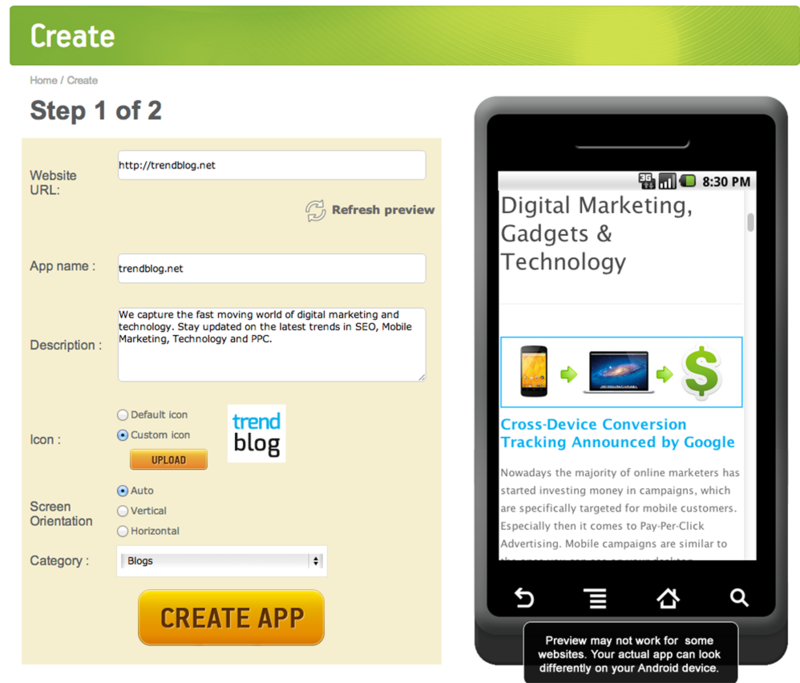 Mobile apps are a great way to bring additional traffic to your website. Smartphone users are used to access content via mobile apps downloaded on Google Play or Apple’s App Store. If your app store page is optimized, you can generate even more traffic when new users are searching for relevant keywords on the app stores. The process of creating an Android app based on your website is pretty straightforward and easy. 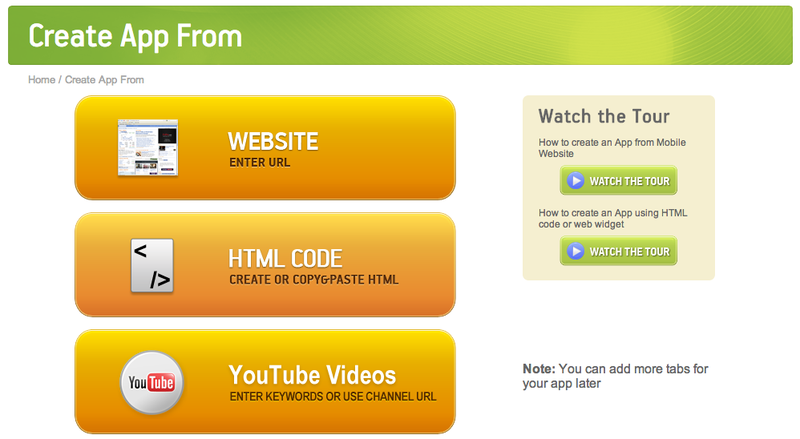 You can either create the app based on an URL, HTML code or a YouTube channel / keywords. For this guide we’ll be using an URL. Just fill in the required information, upload your logo (72×72 px png, max 1 MB) and choose a fitting category. Make sure you include our tips on App Store Optimization! After hitting the “Create App” button and filling out your contact / login details your app is already good to go! You are now able to distribute your app on your website, using the provided QR code or on the AppsGeyser app store. Have a look at the “Edit” menu for more in-depth settings like app permissions, user agents or the implementation of custom code. AppsGeyser itself offers several features for your Android app: Statistics about downloads, installs and usage as well as possibilites to distribute it. You are also able to push up to 3 messages to your users every month for free. As soon as you reach 100 installs you are able to monetize your app using in-app advertisings served by AdMob or Inner Active. Profit made through those advertisements will be split 50/50 with AppsGeyser. Make sure to check out our App Store Optimization guide to accomplish the best results. After filling in all necessary details you can decide if you want to offer your app for free or charge a certain amount of money. The Google Play Developer Console offers you statistics about ratings, installs and usage of your app. You should check it regulary to see how your app performs and if everything works properly. I hope this guide will help you to generate more traffic to your website. The easiness of creating an Android app from your responsive website also allows you to think of more original things you can create an app for – things like your resume. Please share your experiences in the comments below!